From a basic door and window contact alarm system, to state-of-the-art home integration, EDE Systems can install a customized system to safeguard your home. 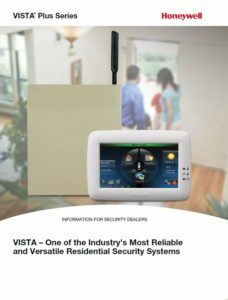 Whether you need a basic alarm system, or want a whole-house, fully integrated solution that includes security, lighting, video, all accessible and controllable from your smart phone, we have the experience and the right solutions to meet your needs. 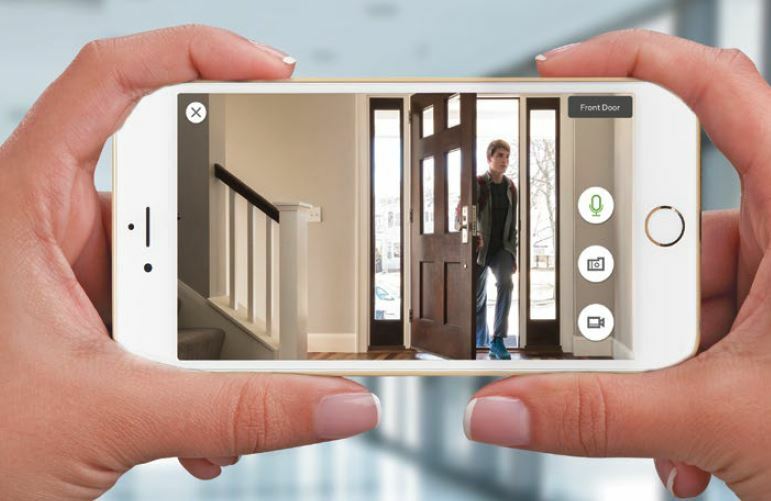 This includes alarm contacts on all exterior doors and relies on interior detection to detect someone entering through windows using motion detectors or glass break sensors. This is the most economical type of system but does not provide complete security. This is the ultimate system you can have installed. This protects your entire house. You can remotely access this system from any smartphone, or via the Internet. For this system we use the ELK M1 Gold system. This system actually “talks” to you. You can have it turn on lights when the alarm goes off, or even turn on the lights when you come home after dark. There are many potential expansion capabilities with this system, all designed to increase the security and enjoyment of your home. 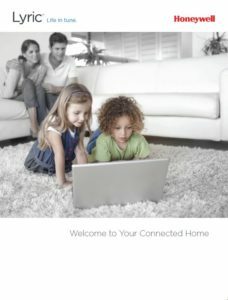 Your security system can be monitoring via hard line (traditional telephone service), cellular (wireless), and/or Internet. 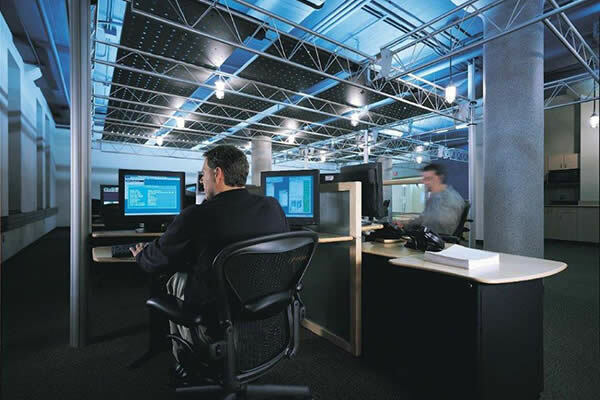 A 24/7 monitoring center responds quickly to an alarm event, dispatching police, fire or ambulance based on the nature of the alarm. Single use buildings, multi-tenant facilities, and campus environments. 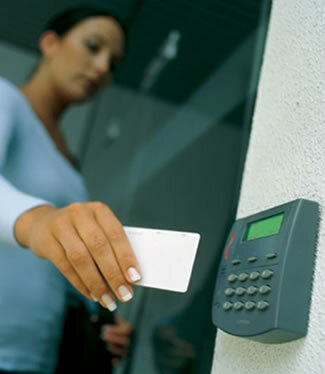 One of our specialties is commercial alarm systems. We only install the Honeywell ADEMCO commercial security system. It ranges from a basic six zone alarm, designed for small organizations, to giant 250 zone systems for the largest commercial, industrial, or government facilities and campuses. These are inexpensive devices for controlling door entry. They work well, but maintaining control of the codes, i.e., preventing unauthorized users from learning one of your codes, is a well understood issue with keypads, so they’re not the right answer for all access control situations. While there are a number of different types of biometric access control devices, the most common of these are fingerprint readers. Good for not only preventing unauthorized access, they can also be useful for recording when a particular user accesses a secure area. Probably our most sought after solution, proximity cards are held by individual users and unlock a door when they are near a sensor installed at the door. These are very durable, don’t involve having a user touch a device other than their card (which can also be worn on a belt or lanyard). These are also a great solution for shared, multi-user situations: For example, entire-family access to a subdivision pool, clubhouse or common area. EDE Systems is an authorized HIK Vision distributor. HIK manufacturers state of the art video surveillance systems, including high res, low light, night vision, and IP (Internet accessible) cameras. These can be installed as part of a standalone DVR (Digital Video Recorder) system, or integrated into a more comprehensive security system with alarms, automated notifications, smart motion detection, remote management, and a vast assortment of useful features.